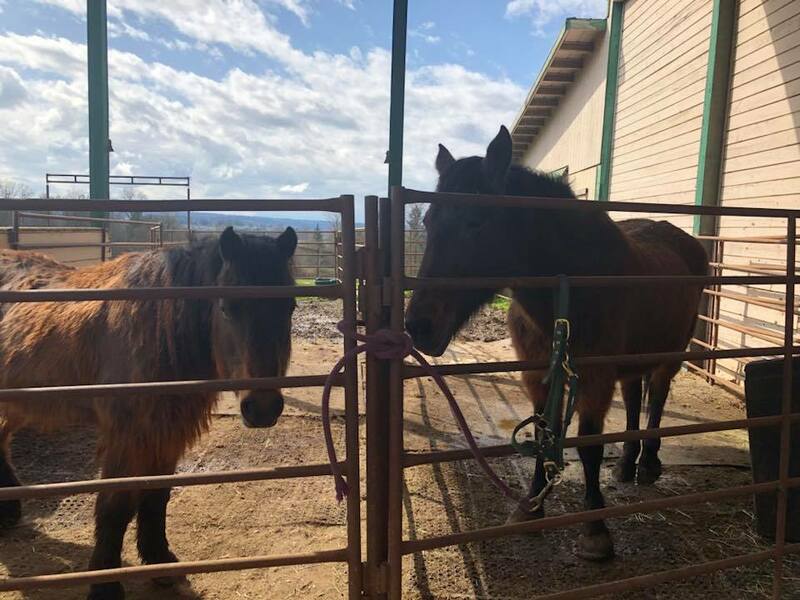 Sage and Pyrrha were seized by Animal Control due to neglect and lack of care. 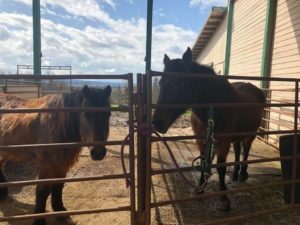 The two mares had essentially been abandoned in a field and left to fend for themselves for quite some time. They were both in poor weight with massive amounts of dirty, matted fur all over their bodies. Sage was so furry when Animal Control dropped her off, she resembled a small yak! But underneath all that hair was a lovely pony. Our veterinarian was concerned that Sage might have Cushing’s, so we began a trial of a medicine called Prascend. When we rechecked her ACH levels in mid June, she was back to normal, however, our vet has told us that she will likely need to be on a low dose of Prascend for the rest of her life. 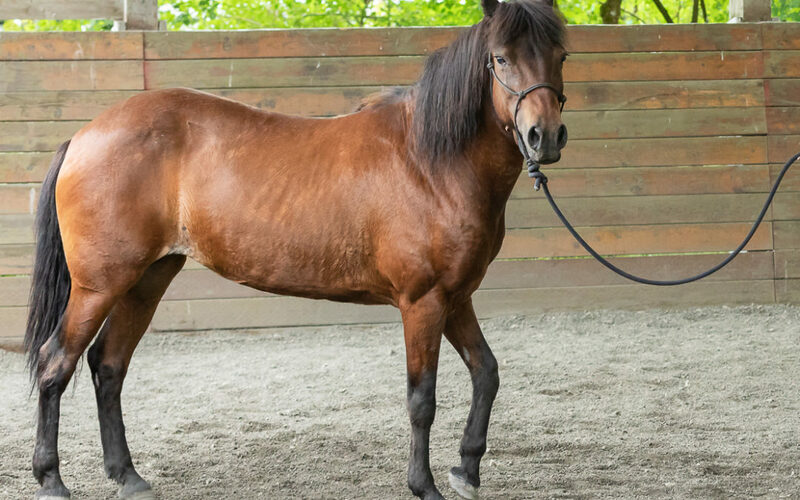 Sage came to SAFE a shaggy, slightly pushy pony, but through good handling and Horsemanship groundwork at SAFE she blossomed into a polite equine citizen, and in January 2019, she was adopted by Raven Rock Ranch as a therapy horse. Keeping with Raven Rock Ranch’s custom, Sage has been rechristened with an R name, “Robin,” which is as cute as can be! 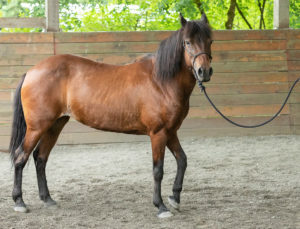 Originally offered as a companion pony, Sage/Robin’s personality and good health for her age meant she could make a sweet lead line pony. 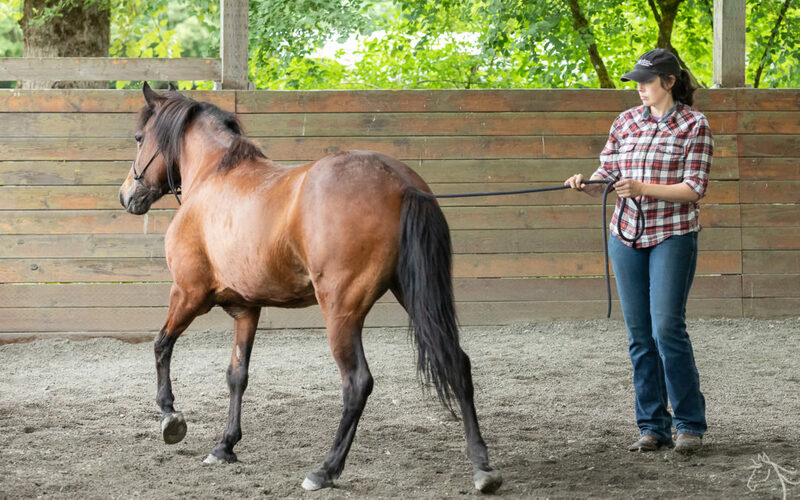 At Raven Rock Ranch, she’ll join a herd of fellow rescue horses helping at‐risk youth heal through horse therapy. We think it’s a perfect match. Originally offered as a companion pony, her personality and good health meant she could make a sweet lead line pony. 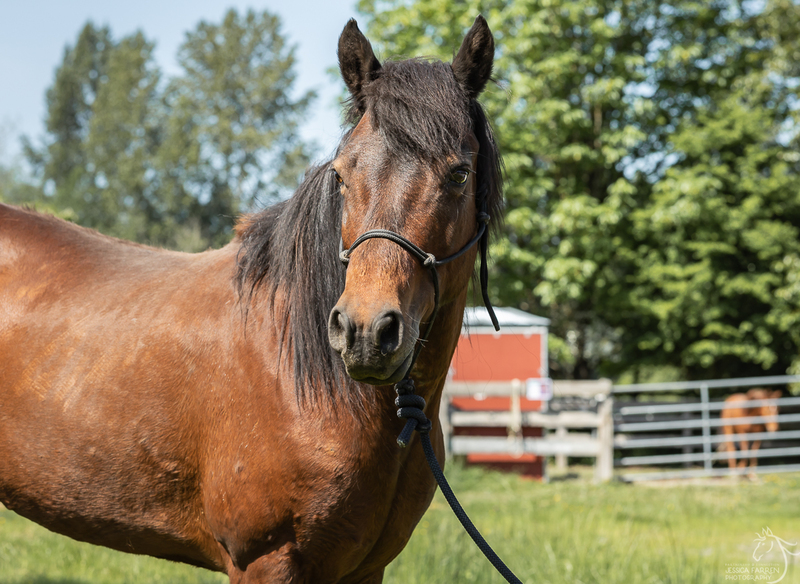 At Raven Rock Ranch, she’ll join a herd of fellow rescue horses helping at‐risk youth heal through horse therapy. We think it’s a perfect match. 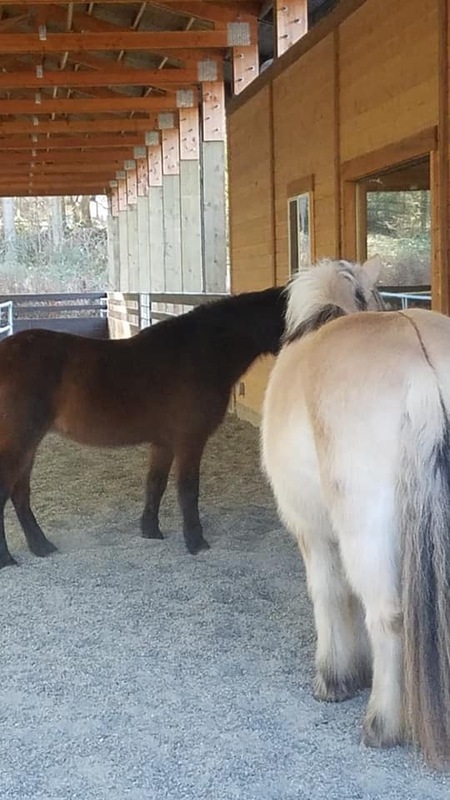 Sandy is taking exceptional care of this little mare. She had struggled with itchy skin at SAFE, especially in the summer. It seemed to flare up with the move and they did an allergy test to see if anything she was eating could be causing her discomfort. Sure enough, not only is she allergic to timothy hay but also soy, corn, beet and rice products along with carrots and pollen and weeds! They have adjusted her diet and she is feeling MUCH better. This is the kind of wonderful care Raven Rock gives to their horses. Robin is very lucky to have found a place in their herd! “Robin goes up to everyone to meet them,” Sandy says. 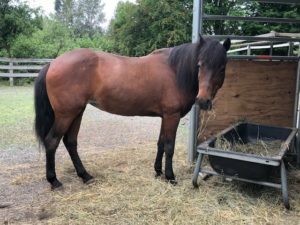 “She’s very social which makes her even more perfect.” SAFE is so happy for this sweetheart mare and amazed by the work she will be doing with her brilliant caregivers and friends at Raven Rock. I had the opportunity to work with Sage for a groundwork session during this Joel Conner clinic. Prior to this weekend, I had only done groundwork with her a few times when she first arrived at SAFE. 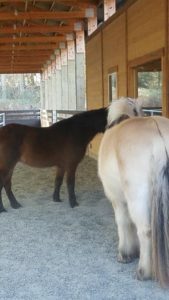 She has always been a sweet pony, but when she came to us it was clear that people had not given her many boundaries in her former life. 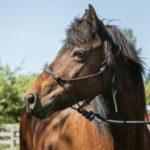 With consistent groundwork she has come a long way in becoming a polite equine citizen. At the beginning of the session, Sage and I were “feeling each other out,” and quickly established a good working relationship. 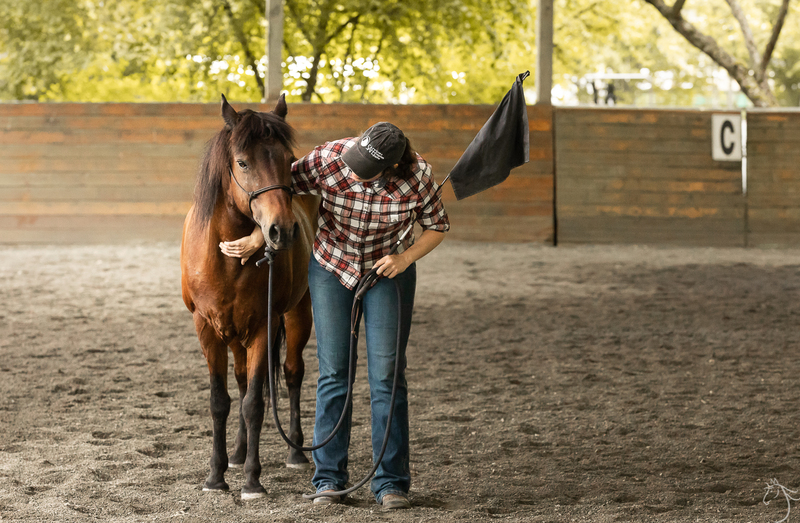 She clearly understands that someone in a horse/human partnership needs to be the leader. If the human partner is unsure, Sage thinks she needs to be the leader. But if her human partner shows to her that they’re capable of taking that leadership role then she happily follows along. It seemed to me like that is pretty black and white with her. 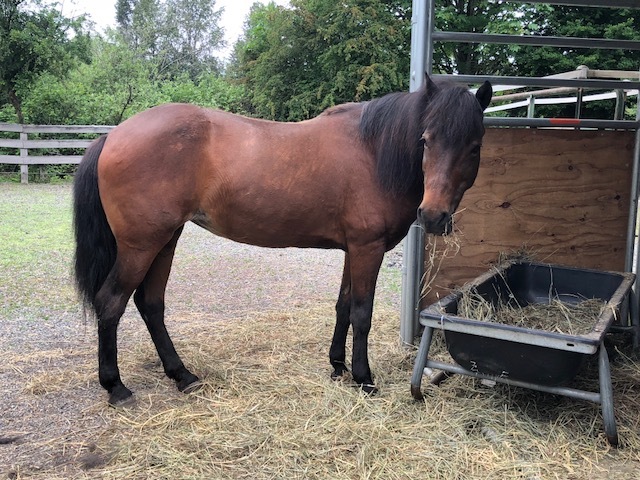 We assume that Sage has been ridden at some point in her life since she is in her 20’s, but we had yet to put a saddle on her due to some healing sores on her belly from her insect sensitivity. Her girth area is healed now that fly season is over, and I saddled her without fuss on Saturday. After some assessment, Joel got on her briefly. someone being on her back, but we won’t know more until we are able to spend some time working on this with her. 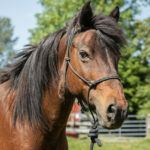 For now she will continue to be listed as a companion horse, but we will see if maybe we can add “leadline pony” to her resume. Little Sage is turning a corner! Her manners and groundwork have improved so much since she came to SAFE. 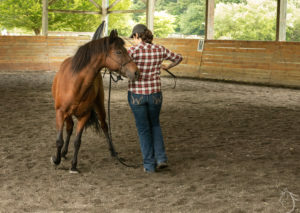 We have a few different horsemanship volunteers working with her. Our biggest goal right now is getting her good about picking up her hooves. 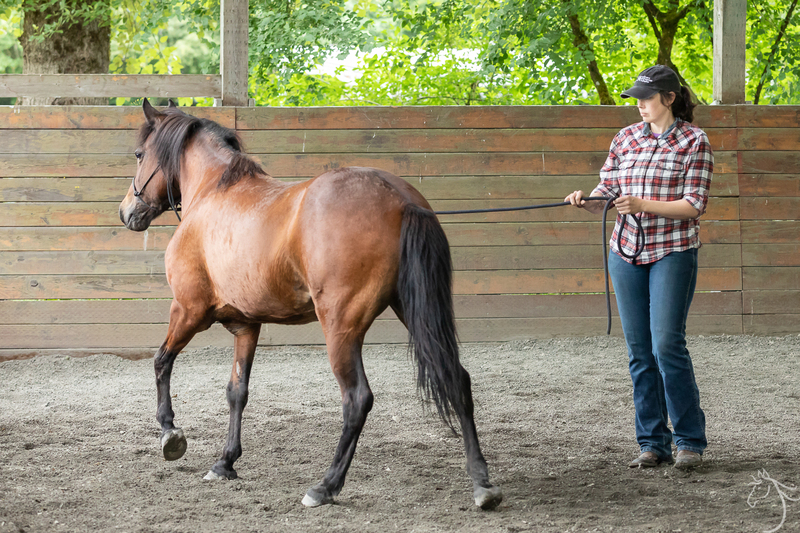 In the last week, we’ve brought her out daily to do rope work with her hind legs and boy, what a difference even a few sessions have made! 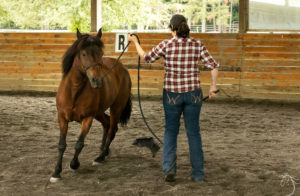 This work is important for safety when picking her hooves but also for farrier visits. By teaching her to release from pressure we are helping her find peace and relaxation. 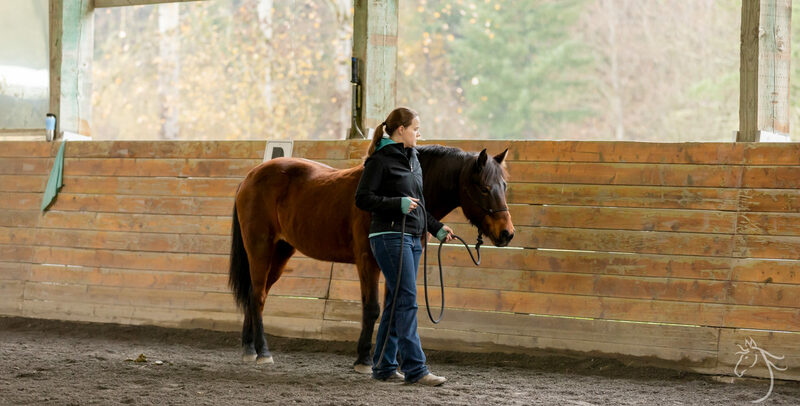 She has a bit of a “pushy pony attitude” so anything that helps her accept leadership helps her overall behavior. 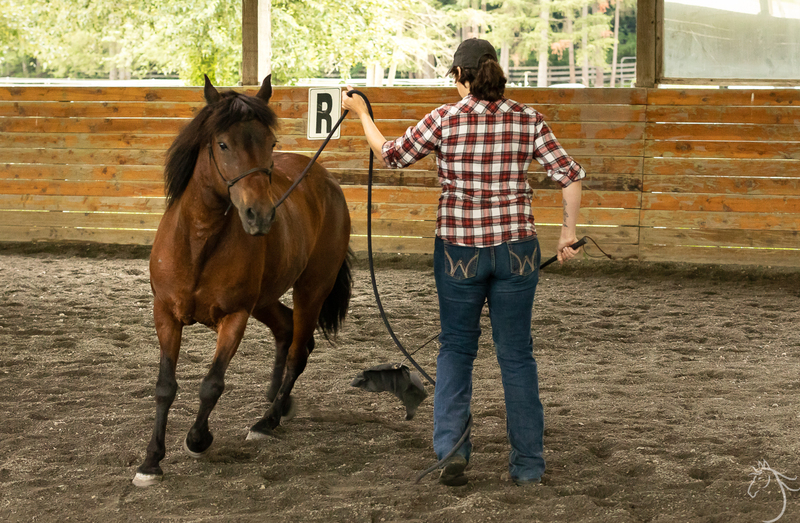 Another reason it’s important for horses to give to pressure on their legs is in case they were ever to get caught up in a fence or something wrapping around their legs. It could save their life if instead of thrashing to get free they give to the pressure and wait for help. Sage would make a nice addition to a family. She loves other horse and would be a good companion. We will continue to improve her manners and may even see about saddling her up. For now, she is healthy and ready for a companion home! Sage‐ a strong personality who has had things her way for quite a while. Roped her hinds again. Doesn’t take her as long to give. She doesn’t get as upset as she did the first time. My opinion — she needs a dominant leader, at least until she decides to be a follower. 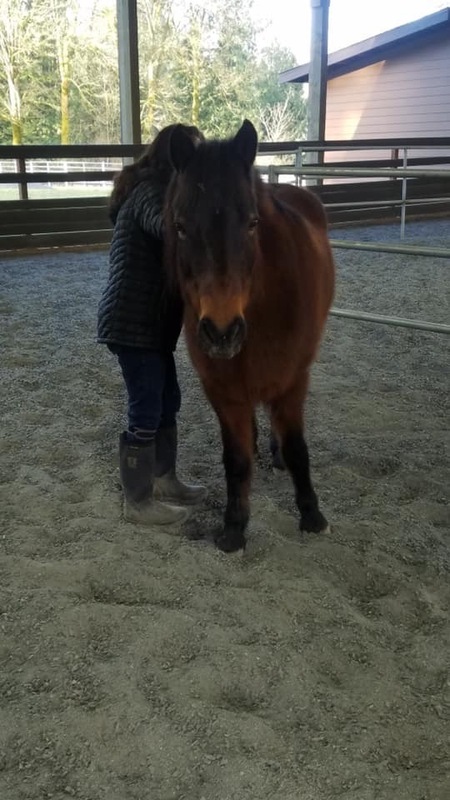 Sage has a new friend: SAFE volunteer rider Scott B has started working with her and was kind enough to share his notes after their last session! This was my first time working with Sage. I would say the first and biggest issue is her lack of “hooking on” to me and paying attention to me instead of the horses she left behind. 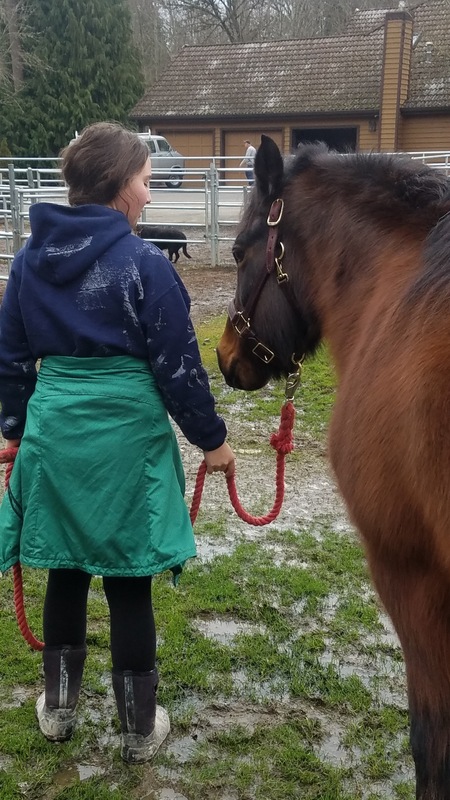 So, I made her “work” each time she did not stay connected to me and called out to the other horses. She did a lot of work! When we started, she had very little respect for my space. By the time we finished, I saw a big change. She was focused on me, responded to me and yielded to me instead of walking into my space. On the half circle exercise, she is much better with me on her left eye and moving from my right across me and to my left. When yielding her front quarter from my left side and moving across from my left to my right, she almost wanted to walk right over me. So, I did a lot of flag work to drive her off me and move away crossing over to my right. Got lots of improvement and she yielded much better by the time we finished. She also got very light backing up from a distance and when I was beside her. She also started to yield better without a lot of flag pressure but there is much work ahead for her. I’m looking forward to continuing to work with her. 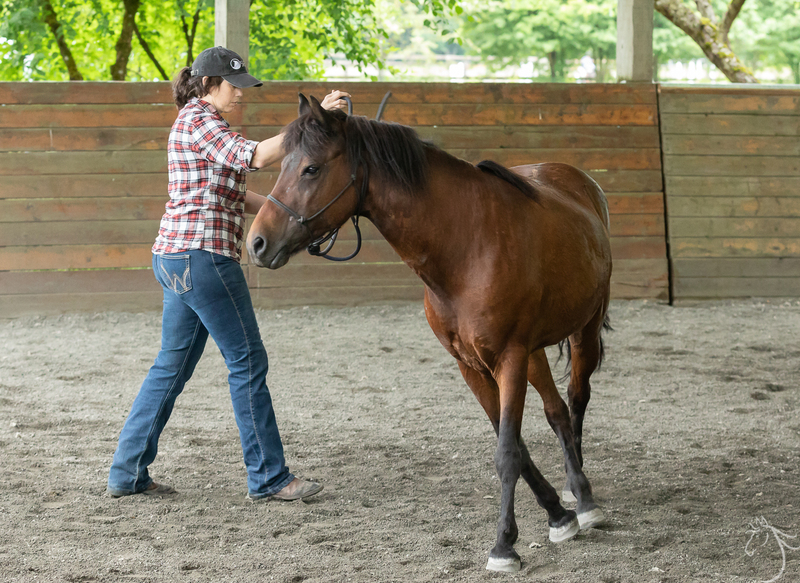 I had the happy fortune to work with Little Miss Sage in part of the groundwork portion of the recent Joel Connor Clinic. This was Sage’s 1st introduction to the SAFE Horsemanship work and this little old gal did great… despite the fact that the first thing she tried to do was climb into my back pocket! With Joel’s help, we established some basic, but firm, perimeters that defined my personal space. 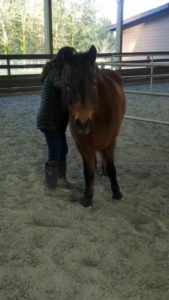 Once she learned that moving her body away from me as opposed to on top of me earned her a release, she was much changed! She became relaxed, attentive, and interested in the work. 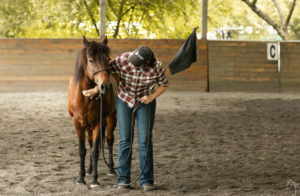 She never blinked an eye at the flag or the Rope coils and on day 2 we worked on roping her feet. 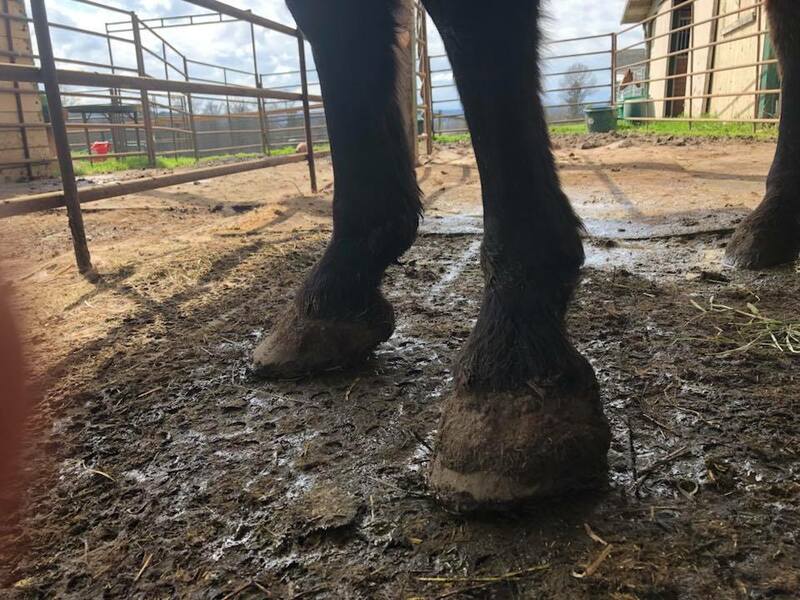 Sage has fairly tender feet, so spends her outdoor time in SoftRide boots, but was not exactly cooperative in getting them back on after Clinic Day 1.… BUT, by the end of day 2, she had learned to pick her feet up softly and willingly, letting me guide a foot any which way while practically dozing off!! 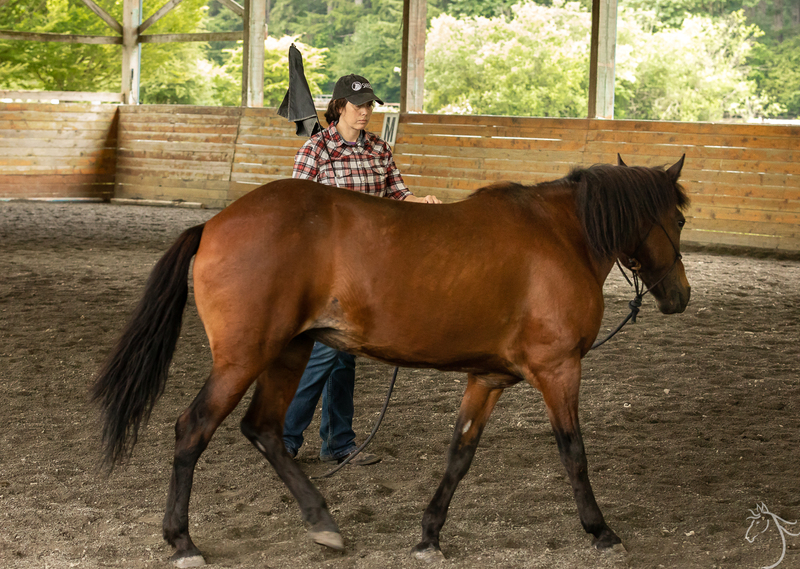 This little mare blew me away; by the end of the clinic, I was leading her by a front foot, she was teaching volunteers how to safely lead and walk a horse while respecting their space, and she was a perfect little lady having her boots put back on. What a doll!! Sage got a visit from Dr. Fleck today to recheck her ACTH level. 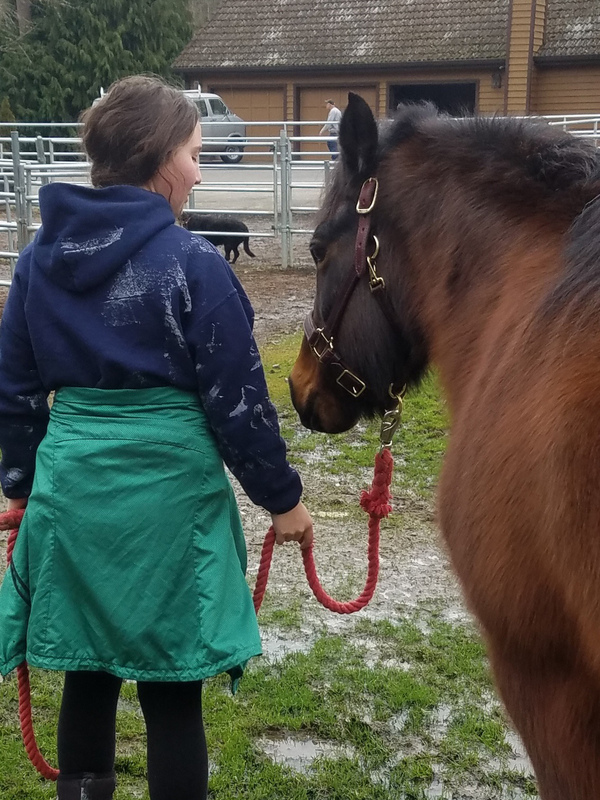 She’s been on a trial dose of Prascend for several weeks since her level came back at the high end of normal at her last vet visit, and she looks and acts like a new horse. We’ll have answers from the bloodwork in a few days, but Dr. Fleck recommends that we just keep her on the Prascend indefinitely regardless of the test results. So what does this mean for Sage? 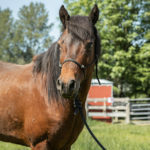 It means she does not have a definitive diagnosis of pituitary pars intermedia dysfunction (PPID, also know as Cushing’s), but she also is a senior pony who had an elevated ACTH level and would benefit from being on this medication for the remainder of her life. She’s in the grey area. This isn’t the news we had hoped for, but it’s also not the end of the world. 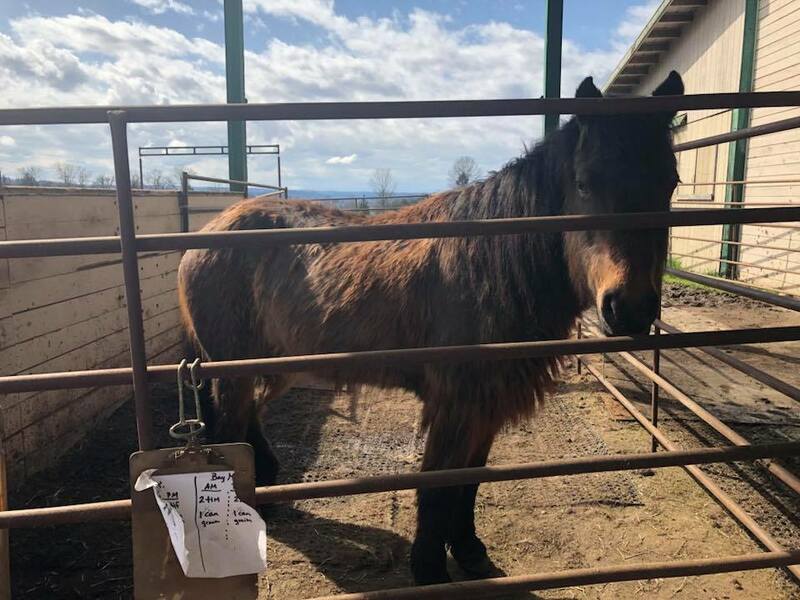 Sage is on a low dose of Prascend, so the cost of her medication is essentially half that of an average‐sized horse. We are also starting Sage on an antihistamine for summer bug allergies. She’s been getting an oral supplement that works as a bug repellent from the inside out, and also on a monthly dose of Ivermectin as recommended by our vets. 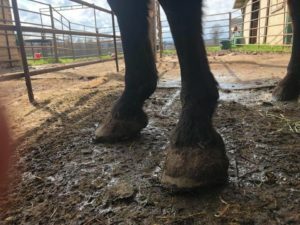 Those products have helped with her “sweet itch” and healed the raw spots on her belly that are caused by it, but she started rubbing her mane last week so we knew she needed a little something extra in the treatment department. Our little Sage has blossomed! She came to us with a long, dull coat from neglect and malnourishment–so long and scruffy, in fact, that some of us referred to her endearingly as our little yak‐pony. But after some good nutrition, a few baths, and a round with the clippers, she is a beautiful little pony. 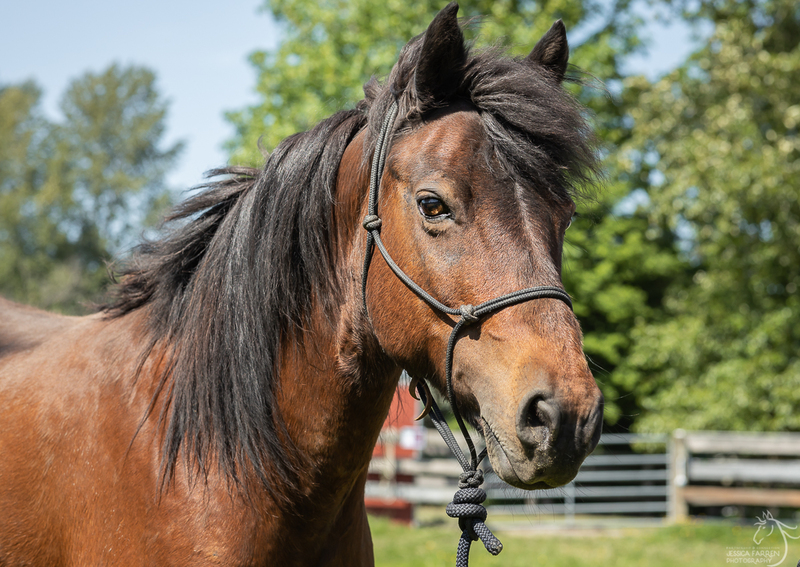 When Sage first arrived, Dr. Fleck suggested we test her for pituitary pars intermedia dysfunction (PPID), also referred to as equine Cushing’s disease. 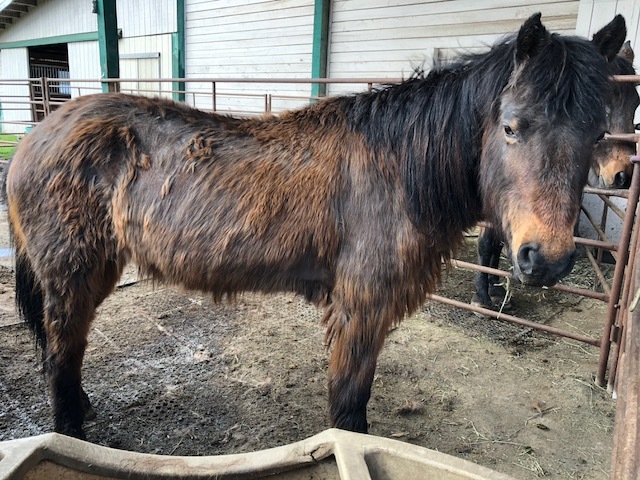 Her physical appearance and aged pony status checked several of the boxes that are considered to be characteristic of this disease. Blood was drawn, and her ACTH level came back at the high‐normal end of the acceptable range. This does not diagnose her as Cushingoid necessarily, but was enough of a nod toward pre-Cushing’s status that she has been prescribed Prascend, a medication that manages PPID. 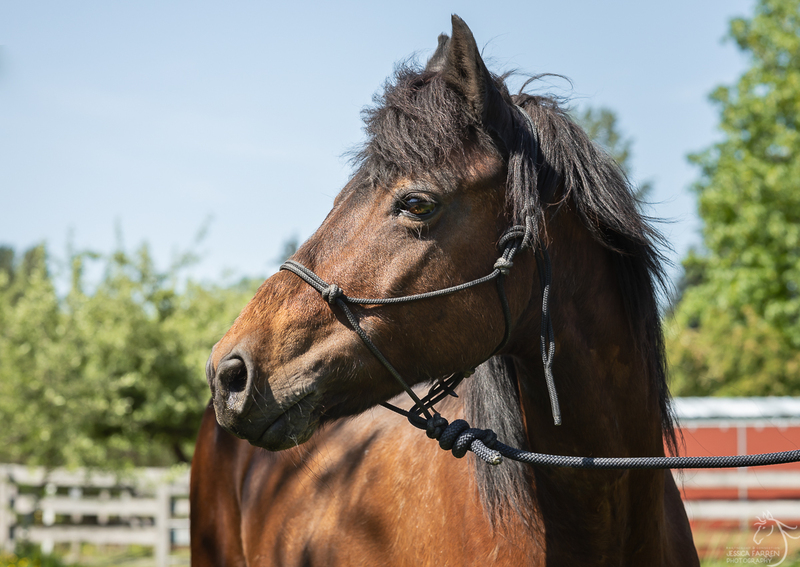 We will be re‐testing her ACTH levels in a few weeks, and at that point will have a better idea of whether or not she will need to be considered a PPID horse and need lifelong management of this disease. 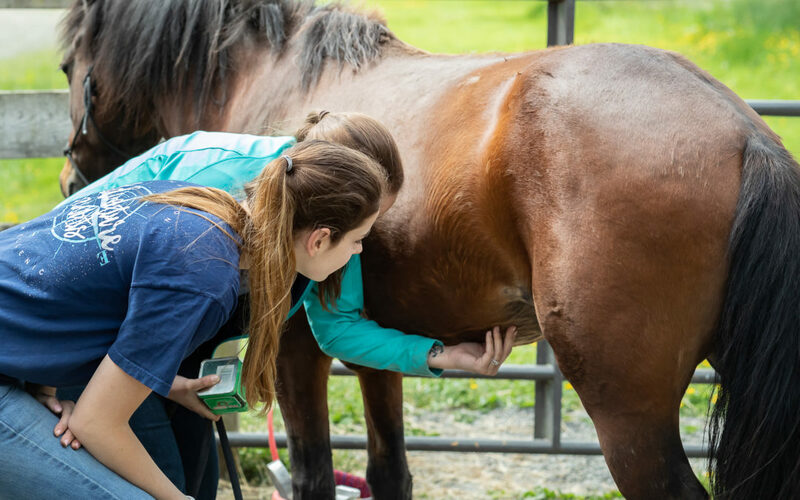 Several factors other than PPID can cause an increased ACTH level, and Sage also fit those characteristics–most notably, a horse under stress from undernourishment and neglect. 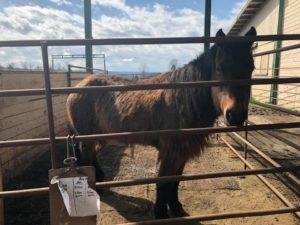 We are hopeful that now that she is at SAFE, getting proper care and appropriate nutrition will cause her blood levels to fall back to a more normal range. Regardless of her PPID status, one thing will probably never change for Sage… her eating habits are less than tidy. But we love her anyway.